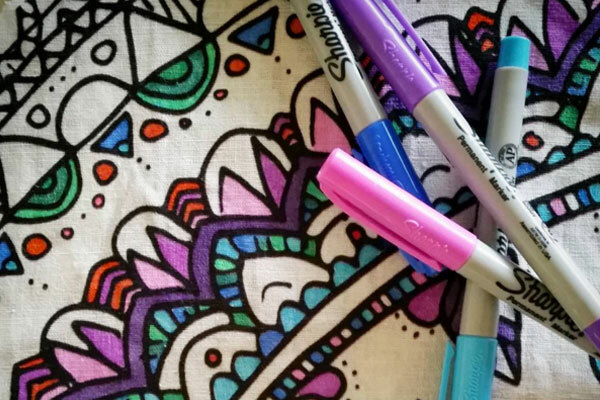 Here’s an innovative twist on the adult colouring-in craze that is sweeping the nation – a playmat, primed and ready for you to get creative and customise with your very own artistic prowess. Is anyone else excited by this news?? Colouring and parenting usually exist in two separate categories in my brain. One is a soothing, relaxing escape while the other is a consuming hustle and bustle. Tuesday Trenton have come up with an novel way of combining the two though so us mums can get some time out, even when we can’t actually get time out. Specialising in making handmade, customisable statement pieces for your kiddos, Tuesday Trenton is an Australian design company that boasting an ever-growing range of products. It is their playmat that stands out in the market above and beyond the rest though. 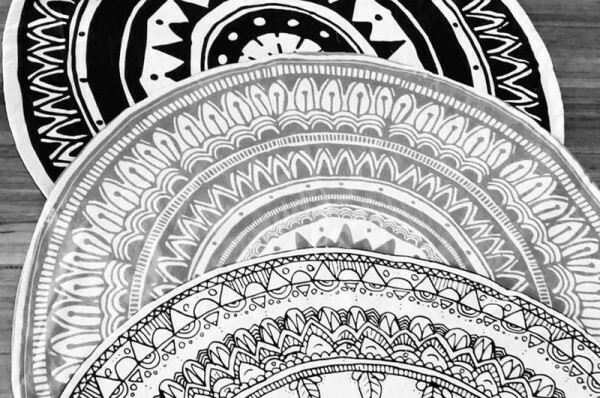 The Colour In Play Mat features Tuesday Trenton original mandala images that are striking in their monochromatic design. They can easily be left as they are or you can take to it with colour for a personalised effect. Printed on a linen-cotton blend, layered with padding and a coated cotton backing, this playmat is comfortable, durable and washable. If you are planning to be the artist yourself then permanent fabric markers can be used on the playmat, but if you have kids who are wanting in on the action, washable markers are an option that you can purchase with the mats so you are ready to start customising them straight away. Bonus points to Tuesday Trenton for considering longevity and diversity in the design of this clever playmat. Four tabs have been included for a standard mobile or toy hooks to be attached and there is a drawstring around the edge so you can easily pull it up into a storage pouch or use it as a Lego mat with older children. Affordable and innovative, the Colour In Play Mat from Tuesday Trenton can be found exclusively at their online store for $80. Shipping is available throughout Australia and for orders over $150, postage is free.